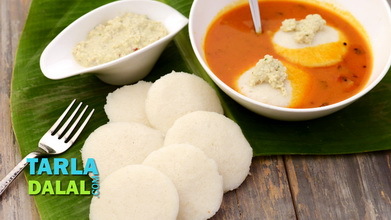 Idli taste great with coconut sauce and makes a good cocktail snack. 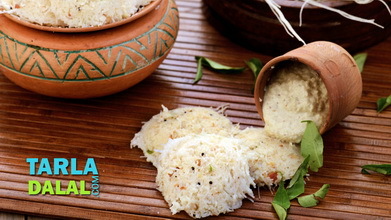 When the seeds crackle, add the curry leaves, green chilli, coconut milk, salt, lemon juice, sugar and cornflour-water mixture, mix well and cook on a medium flame for 1 to 2 minutes, while stirring continuously. Keep aside. Put the spinach leaves in enough hot water and allow them to blanch for 1 to 2 minutes. 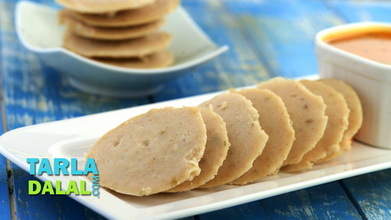 Drain, cool and blend in a mixer to a smooth purée. 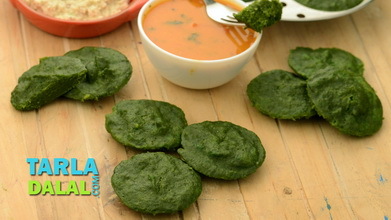 Combine the idli batter, spinach purée and salt in a bowl and mix well. 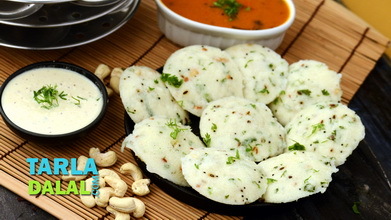 Pour a little batter into each greased mini idli mould and steam in a steamer for 6 to 7 minutes. Cool, demould and keep aside. 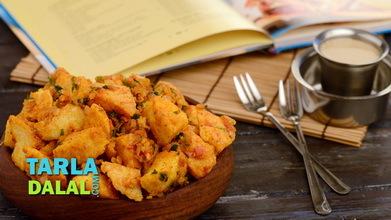 Heat a sizzler plate or tava (griddle) till red hot. 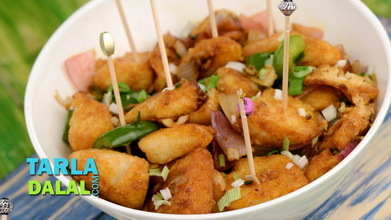 Pour ¼th of the prepared coconut sauce over it and cook for 1 minute. 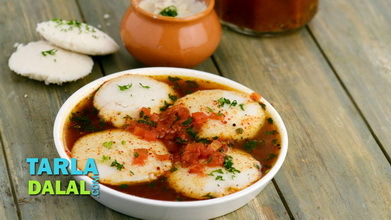 Add the mini idlis and the remaining coconut sauce over it and cook on a medium flame for 1 to 2 minutes, while stirring occasionally. 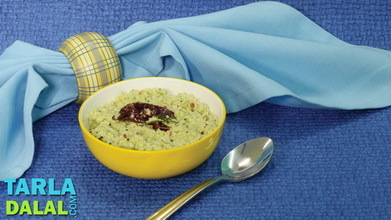 Discard the green chilli from the coconut sauce and serve immediately.